Parents sometimes choose a boot camp for kids for help with addressing a number of behavioral issues with their children. What Is a Boot Camp for Kids? A boot camp for kids generally relies on a military-style atmosphere that includes regimented routines, strict discipline, strenuous physical workouts and training, and a variety of military exercises. Parents often turn to boot camps when they feel they are out of options with their out-of-control children. Proponents of boot camps feel that the military atmosphere of a boot camp will instill a sense of control and discipline in a rebellious child. Opponents of this type of camp point out that, in general, a boot camp for kids doesn't address the underlying problems that create the behavior issues. Where do you stand on this issue? Keep reading for more information on this often controversial topic! The most common boot camps fall into two categories: state-run camps and private camps. State-run camps-Programs differ from one state to the next. While some state-run facilities may focus on actually addressing and correcting behavioral problems, other state programs would be more aptly be referred to as juvenile jail-a place that houses juvenile delinquents in the same manner that state-run prisons house inmates. Private boot camps-Privately run boot camps are typically operated under a military theme. Officers or guards expect kids to follow strict routines, participate in daily military exercises, and follow a long list of specific rules. Most private camps include extreme physical exertion, such as difficult obstacle courses and forced long runs. Punishment often involves more physical exercise as well as a loss of privileges and possibly periods of time in isolation. In many cases, kids' boot camps are chosen as an alternative to a juvenile jail sentence, and some boot camp assignments may be court ordered. In most cases, boot camps simply don't include counseling or therapy sessions, and instead, focus on basically intimidating or scaring kids into submission. Does this tactic work? While many kids may respond to the rigidity of the camp environment, once they are released, the incidence of repeat offenders is high. Opponents of boot camps point out that because the initial reason for a troubled child's behavior is never addressed, the child is destined to repeat his criminal activity once he is back in the real world. In general, a boot camp should not be viewed as a therapeutic option to help a child who has behavioral problems. However, when parents are given the choice of watching their child be placed into a juvenile detention center or seeing him enter a boot camp, many choose the boot camp option, hoping for a better outcome. 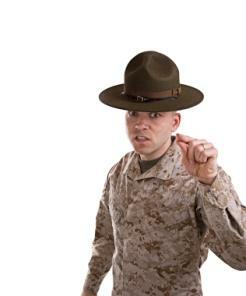 Boot camps, however, should not be viewed as quick fixes. What are the alternatives to boot camp for juvenile offenders? That depends upon the extent of the child's behavioral issues and the extent of any crimes committed. If your child has been found guilty of breaking the law, then you may not have much choice in the manner of where he or she will be placed. If, however, your child is exhibiting behavioral issues, but she has not entered the court system as of yet, then a more therapeutic program may be in order. Many parents turn to wilderness survival programs that teach survival skills, teamwork, and cooperation skills to teens. Others look for adolescent therapy programs in which their child would receive individual and group therapy. Private boot camps and wilderness survival camps can be quite expensive, with families paying as much as $18,000 or more for the program. While the expense of this type of program may be overwhelming, there may be loans and scholarships available to qualifying families. Before you begin searching for a program for your child, check with your health insurance company. In some cases, certain therapeutic programs may be covered or partially covered by your insurance. Finally, before you enter your child into any program, make a visit to the facility and ask for a tour. Don't be afraid to ask questions as to the quality of the program, including expenses, discipline procedures, available therapy, staff/student ratios, and any other question that may be pertinent to your child.